My brain has gotten demanding lately. Cravings for fruit and beaches abound, I’m sick to death of wearing tights under dresses and needing to keep my coat on in the office, and I want to go swimming, plant a garden, and grill. I’m the kind of person who will stand outside in humid 90 degree DC weather drinking a cup of coffee and feel perfectly fine with the situation. I am clearly a child of the long summer days. Our HR department at work decided to hold a pie baking contest to celebrate Pi Day, and I was initially pretty stumped. Can you imagine? One of the most versatile pastries and I could not think of One. Damn. Thing. Not much fruit is particularly in season, most of what I canned last year is gone, and we were asked to omit nuts due to allergen potential, so there were a few challenges. Of course I could have gone for something savory, but for some reason I got stuck on layers. Distinct layers of flavors with different textures, maybe a little deconstruction. Hmmm….buttery, crunchy, molasses-laden crust, a creamy, slightly bitter chocolate center, a towering marshmallow meringue, and an excuse to use my blow torch? It sounded too fun to pass up. 1 1/3 cups flour – For graham crackers, I always use half all-purpose and half white whole-wheat. Begin by making the graham pastry. Combine the flour, sugar, salt, and cinnamon in a bowl. Add the butter, and using your fingertips, gently smear and break the butter into the flour until the largest pieces are pea-sized. It should have a pebbly, sandy texture. 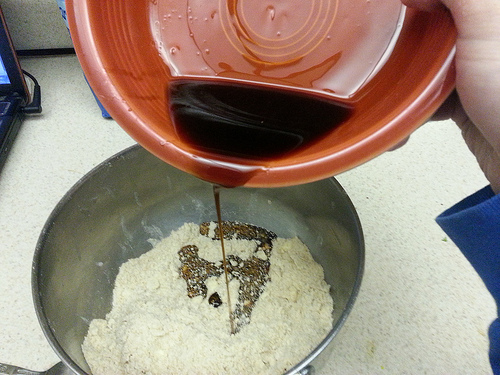 Whisk the molasses, honey, vanilla extract, and vodka or water together until blended. Add the wet ingredients to the butter-flour mixture and stir with a fork just until a rough dough forms. Knead the dough once or twice on the counter until it adheres together. 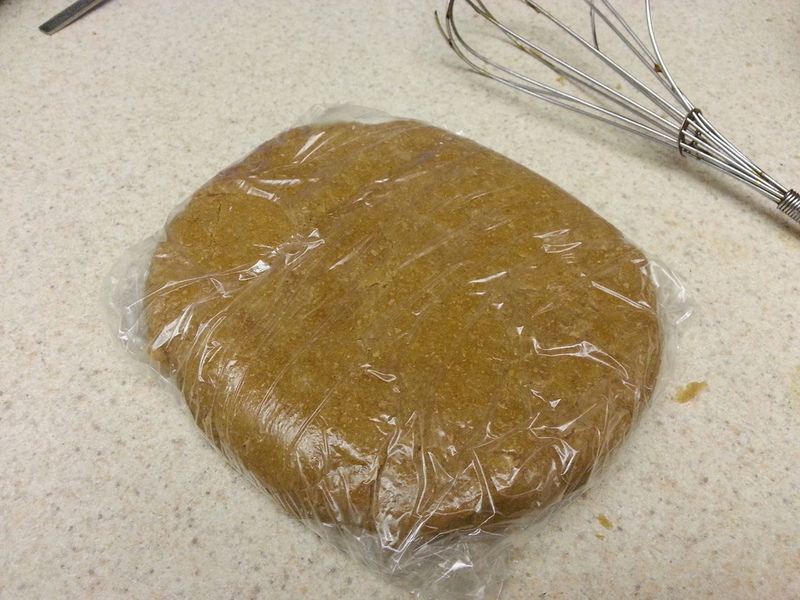 Flatten the dough into a disc, wrap in plastic wrap, and refrigerate for a half hour. 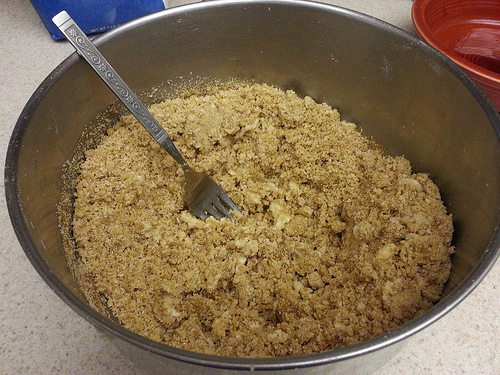 Remove the graham pastry dough from the refrigerator, unwrap, and roll into a circle about 12 inches in diameter. Fit into a 9 1/2 in. 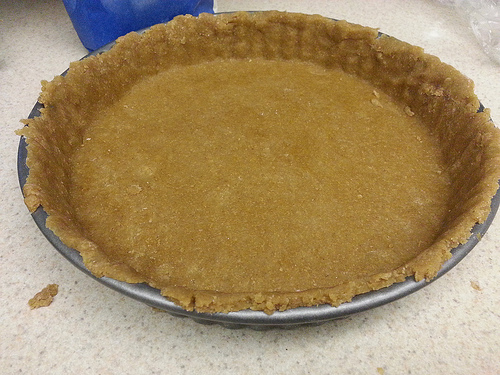 tart pan with a removable bottom, or a 9 1/2 in. pie pan. Trim the excess from the edges. 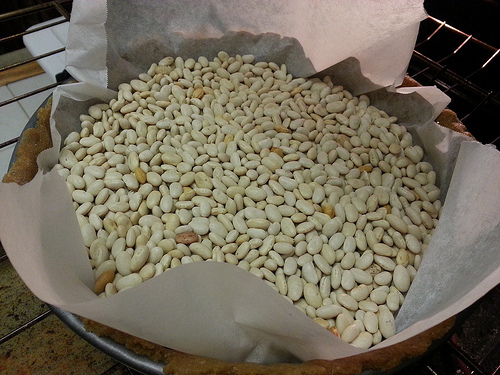 Line the crust with foil or parchment paper and weigh it down with dried beans. This allows you to pre-bake the crust without it puffing up in the middle. 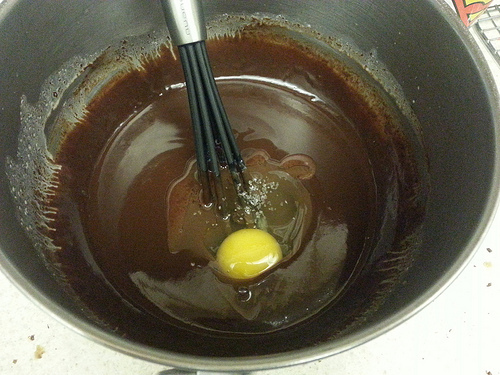 Leave the crust on a wire rack while you prepare the chocolate ganache filling. Put chocolate in a large bowl. 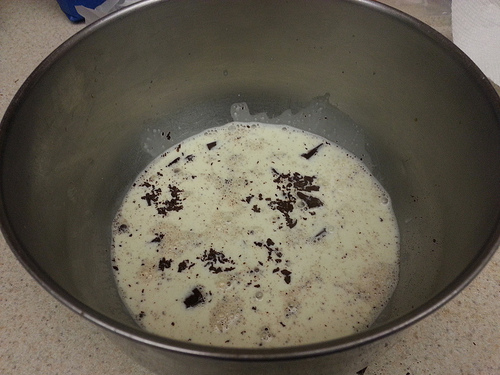 In a medium sized saucepan, heat the cream over medium-high heat until it just comes to a boil. Remove it from the stove and pour gently over the chocolate. 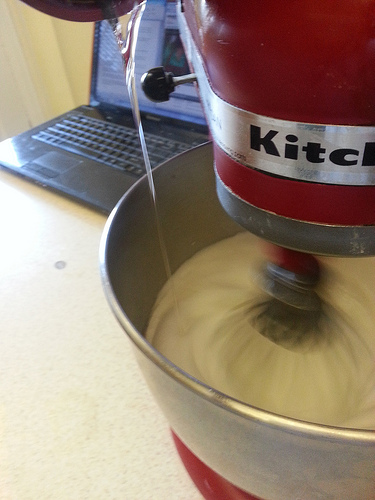 Wait one minute and then whisk the mixture until smooth and shiny. Add the egg and mix until well integrated. Pour the filling into the crust and jiggle the pan slightly to make it even. Cover the edge of the pan with a pie shield or foil and then bake for 22 minutes or until the filling jiggles just slightly when the pan is tapped. Cool for at least one hour. I moved it to the refrigerator after an hour and left it there while I made the meringue. Place 1 tbsp. 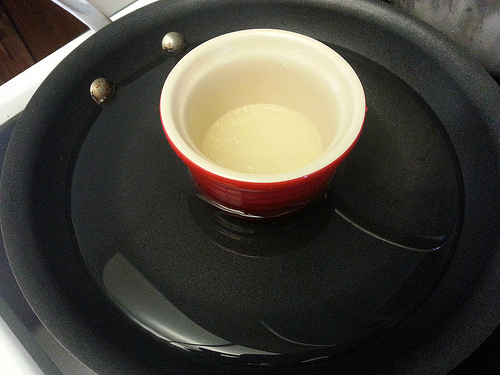 of water in a small ramekin and put that in a small skillet. Add water to the skillet until it is a depth of 1/2 inch. Sprinkle the gelatin over the water in the ramekin and set aside to bloom. 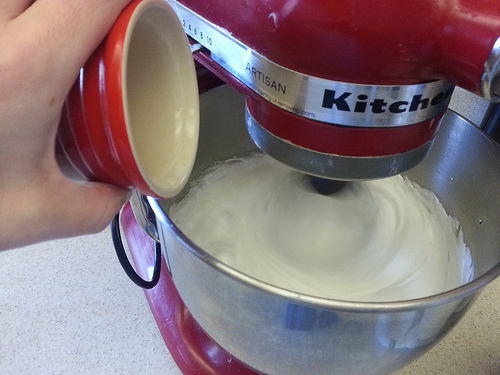 Put the egg whites and a pinch of salt in the bowl of a stand mixer fitted with a whip attachment. 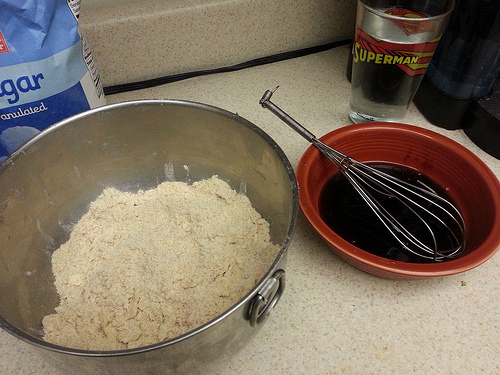 Whisk sugar, corn syrup and 1/3 cup water together in a heavy bottomed saucepan. 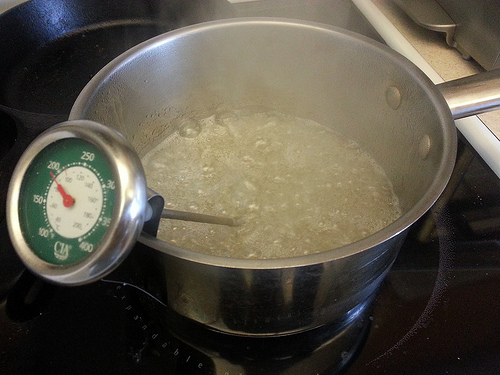 Bring the syrup to boil over medium heat, stirring only until sugar dissolves. 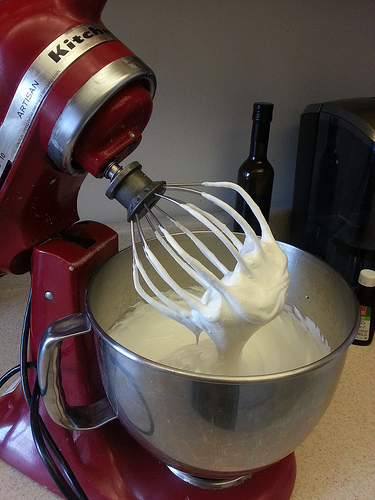 Once the syrup has begun to boil, turn the mixer onto a high setting and beat the egg whites to stiff peaks. 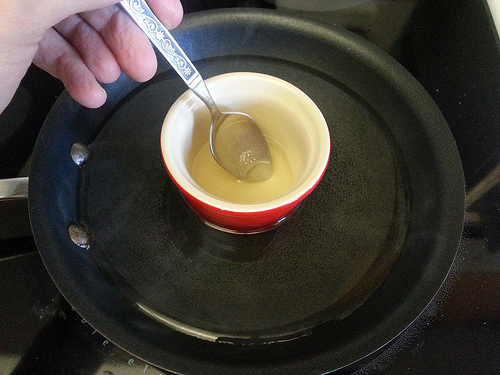 Boil the sugar syrup without stirring until it reaches 248 degrees F. Remove from the stove, and with the mixer on, pour in a thin stream into the egg whites. Beat for 4 minutes or until stiff, glossy peaks form. Add the vanilla and beat to combine. Bring water in skillet to simmer. Stir the gelatin mixture in cup until it dissolves into a clear liquid. 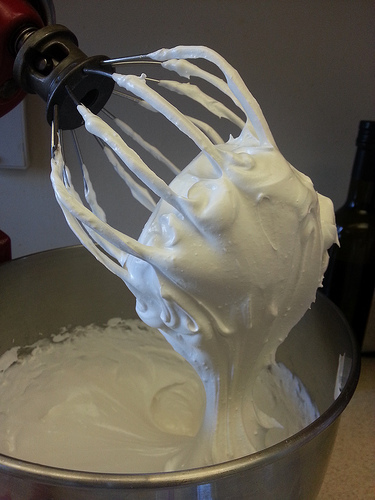 Slowly pour gelatin over egg whites and beat until the marshmallow meringue is cool, anywhere from 8-10 minutes. 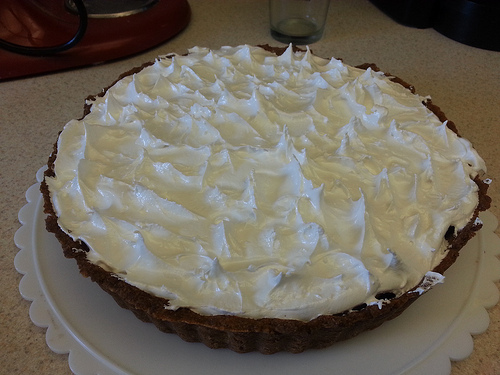 Spread the meringue over the top of the pie, forming small peaks by tapping the flat side of a butter knife against the meringue and flipping upward. 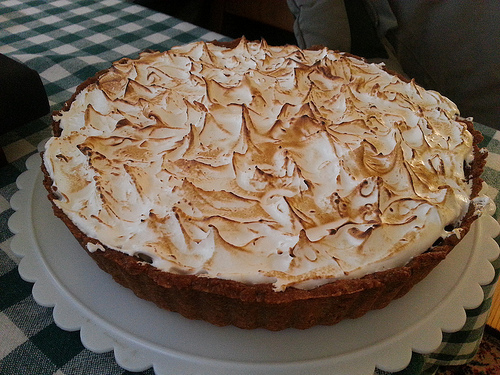 Using a blow torch or broiler, brown the meringue. Refrigerate the pie until serving. 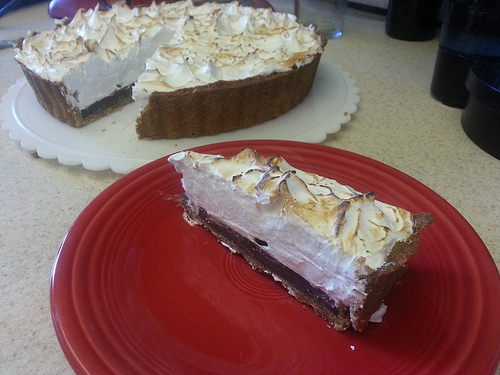 This holds up very well in the refrigerator and the meringue won’t weep because of the magical gelatin. From the first taste it was…a s’more. A giant, fluffy s’more. 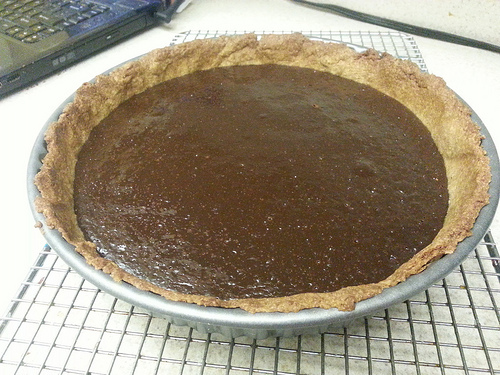 The crust was crunchy, with a little caramel flavor from the molasses and a distinctly graham cracker taste. 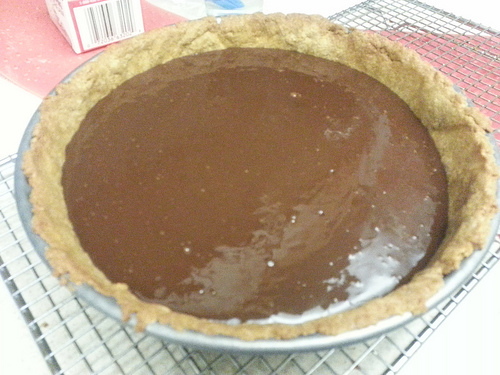 The chocolate ganache was creamy, somehow tasting melted even in a chilled state. 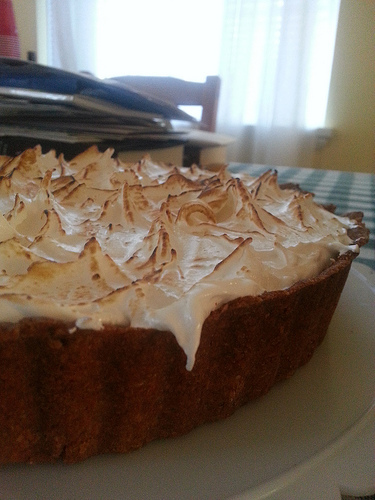 But the marshmallow meringue was the star. Puffy and springy on the outside with an almost divinity-like texture inside. The final torching gave it the toasty campfire flavor, finally quieting my weary-of-winter brain. It didn’t win the contest, but it made me really happy to make it and that’s a reward I cherish dearly. Besides, I work with an insane amount of creative, talented people, so a baking contest here is no cakewalk, er, piewalk. Hope everyone is having a happy March. It is, of course, the month of super-husband’s birthday, so there will be cake soon. Maybe I’ll have some new sweet treat to share with you!